Hospital Swamp track - living up to its name! Well, sometimes you need to know when to put a stop to your well laid plans. Today I headed off to explore a potential walk from Hospital Swamps to Point Tait alongside Lake Connewarre, only to find, after months of above average rainfall, that it was indeed living up to its name: the path was ankle-high in water and stinky squelchy mud! 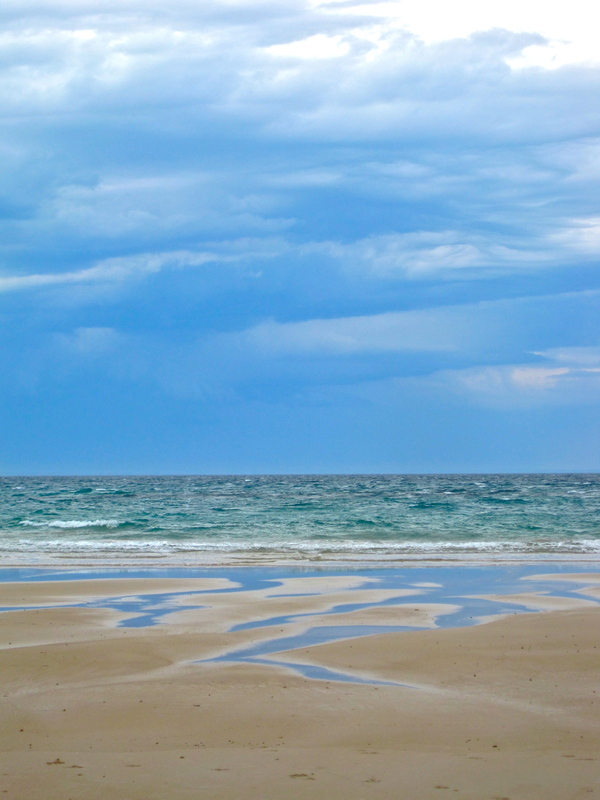 After about 15 minutes, there was no dry land in sight, so we did a quick about face and headed instead to Black Rock, on the surf side of the Bellarine Peninsula. We did a wonderful walk along the volcanic rocks, then dunes and solitary Bancoora Beach, through Breamlea and beyond for views of Point Impossible, then returned via the beach – luckily with walkable firm sand at low tide, as we were racing the rain-clouds. 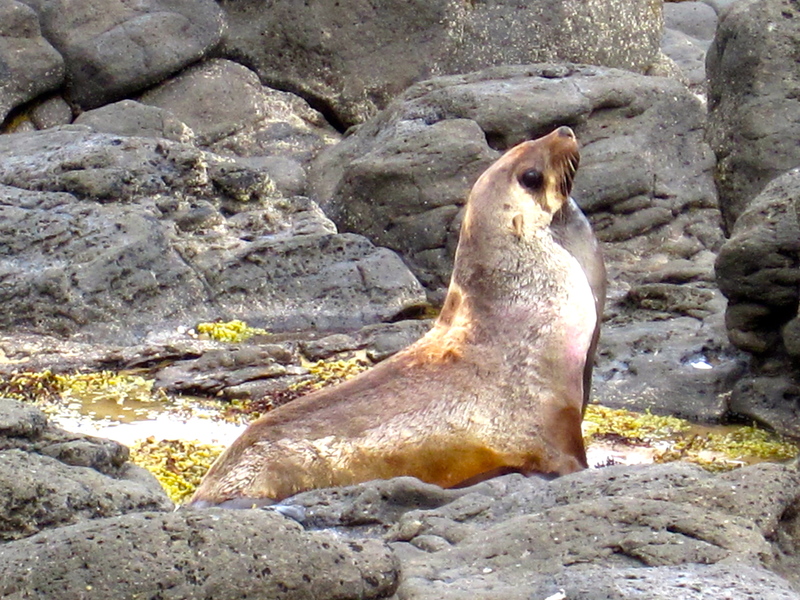 A real bonus at the end was this Australian fur seal, resting from the wind and currents on the rocks. Haha he’s a poser! Looks like it was a nice walk aside from the mud, Julie! I’ll have to visit some time. 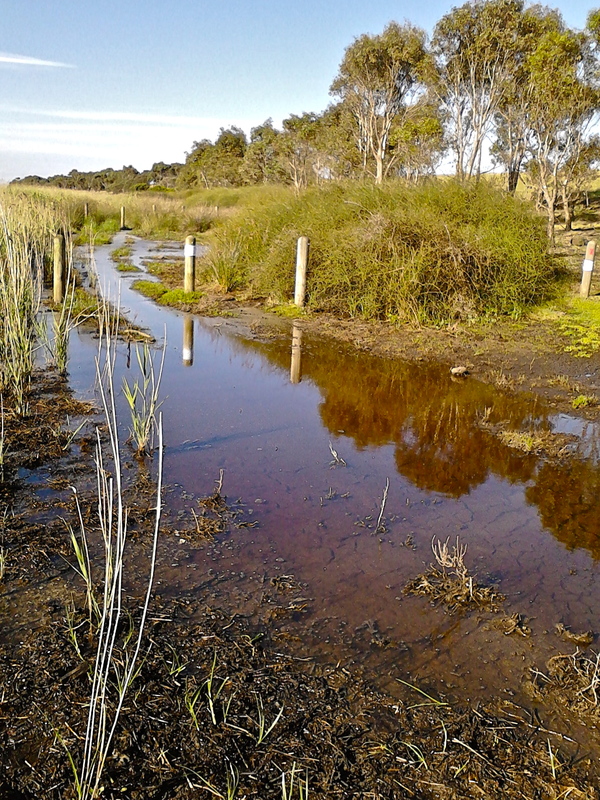 Thanks Neil, yes will have to save Hospital Swamps until we have an extended drought I think. The Black Rock to Breamlea walk was lovely though – and well away from the madding crowds which was a bonus. The seal had a very relaxed thing going on. Am heading back down Geelong-way for another walk today,a s didn’t expect the weather to come up so good today – are you heading out?